We provide a simplified dashboard so you can keep track of Student & Family Data, Staff Members, Accounting, and Detailed Reporting. Manage your Center Anywhere, Anytime! 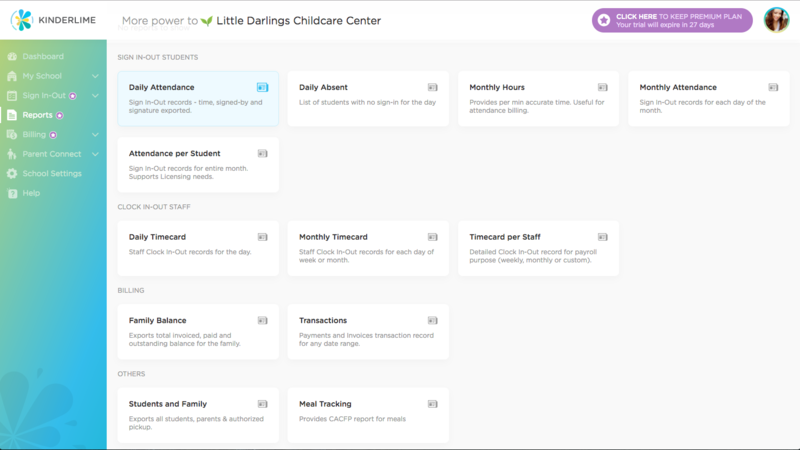 Kinderlime provides a super-easy way to manage your Roster and Enrollment data securely through web or mobile. It’s time to move away from old clunky software systems. 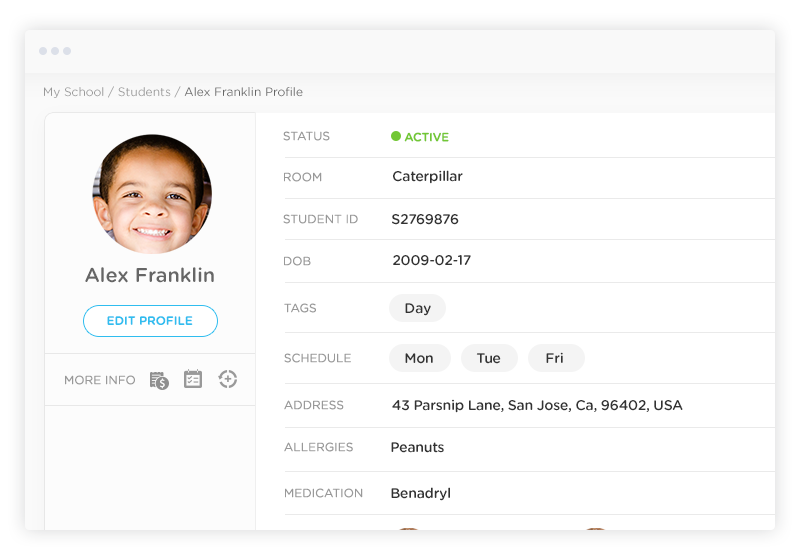 Easily manage your student roster and enrollment pipeline. Securely store family and pickup contact details for each student. Switch between many schools with click of a button and view the dashboard instantly. 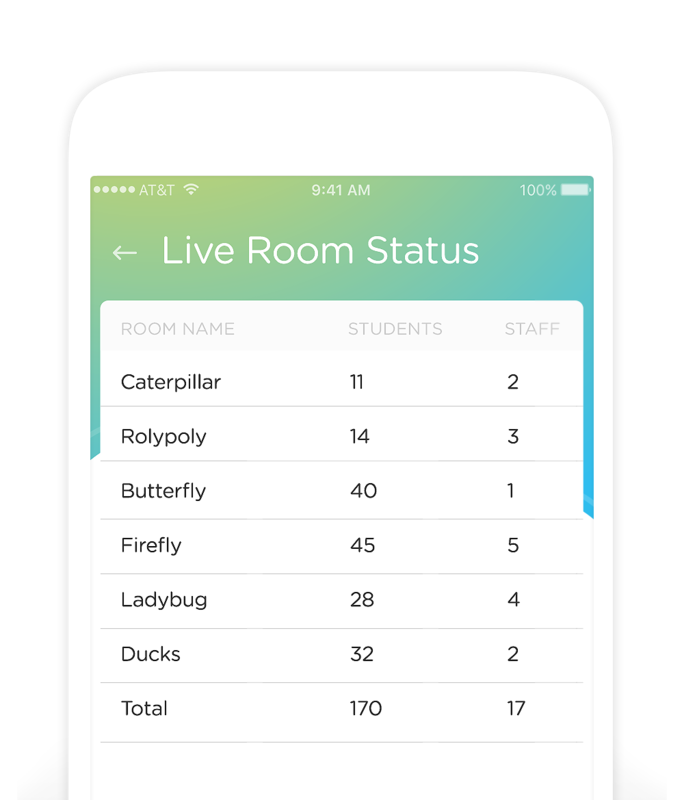 Keep tabs on stats across schools. Integrate with popular SIS systems and sync data in minutes. Or, get started now by importing a spreadsheet! Easy to use CACFP-compatible meal tracking feature. Record staff timecards and seamlessly integrate with a payroll provider. Your data is our highest priority. We use highest level of encryption to keep it secure. Easily manage each student profile from web or mobile. You can also quickly check dietary restrictions, allergies, or immunization records. Have you ever forgotten a birthday? Do you know which children have allergies? Our mobile app will smartly remind you so you never forget again! With our Real-Time Staff and Student Attendance system you can easily track ratios and ensure you are always licensing compliant. Generate reports with a button click from our dashboard. We support reports right off the shelf for Sign In-Out, Staff Timecard, Billing, Immunization, Family Database, Meal Tracking and more.